With school starting for my older kids next week, I will have some extra time with Miss Ruby alone at home. I have been looking for some fun projects that she would love and I think I am going to have her make (and then use) her own homemade puffy paint. The ingredients are all kid friendly and it won't just be a fun art project, it will be a good lesson in mixing colors. 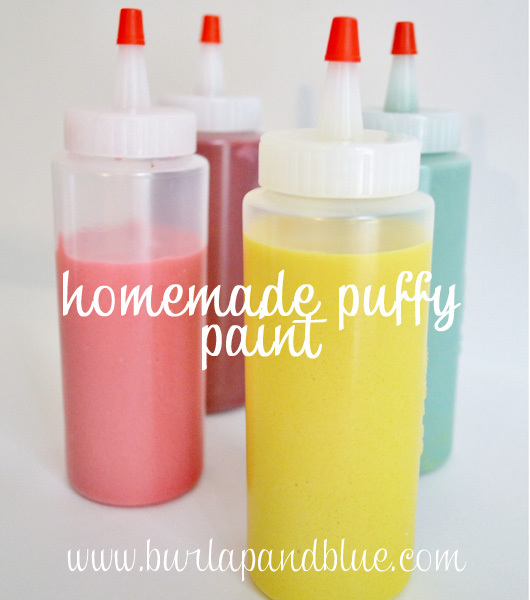 You can get the recipe for your own homemade puffy paint over at Burlap and Blue.